MUSIC TO MOVE YOU…MIND, BODY & SOUL ! A Trinidad-born artist with rhythm in her blood, Keba’s soul-flavored songs are an exploration of becoming a self-made American woman. Her playful yet powerful lyrics are an anthem of empowerment and inner strength. Reminiscent of classic artists like Whitney Houston, Aretha Franklin and Chaka Khan, Keba’s voice has captivated audiences around the world. Her songs are a sensual fusion of Pop, R&B and Soul, accented with exotic rhythms and cinematic climaxes. Her lyrics combine raw vulnerability with a playful exploration of love, femininity and identity as a first-generation immigrant and millenial. Her powerful vocals and electrifying stage presence deliver live shows that move audiences to their feet. Keba regularly headlines prestigious venues in South Florida with her band and made her international stage debut as an opening act for Jill Scott and Kool & the Gang at the 2015 Tobago Jazz Experience. In 2016, Keba embarked on a European tour of Portugal, France, England and Spain. Growing up on a small island of West Indian traditions, Keba’s earliest influences included Calypso and Soca music as well as her mother who was a piano enthusiast. Keba grew up to the sound of Stevie Wonder, The Jackson Five, The Supremes and music from 50s American movies. Discovering her own voice became a way for her to connect with the world around her and cultivate self confidence. Like many immigrant families, the pursuit of better opportunities in America signaled a new beginning and shift in identity. For Keba that meant completing a degree in Chemistry and pursuing a stable career path. But as her passion for songwriting and music grew, she decided to redirect her path and ignore the expectations of those who told her she was too old in comparison to others in the industry, inexperienced and impractical to have a full-time music career. In 2013, she debuted Wildfire, her first studio album, which she composed in collaboration with producer Erik Nunez and released under their independent label, Labrat Music. Since then, she has earned international recognition for her original songs at several songwriting competitions. As an independent artist determined to blaze her own trail, Keba’s songs inspire others to express themselves and make their own dreams come true. 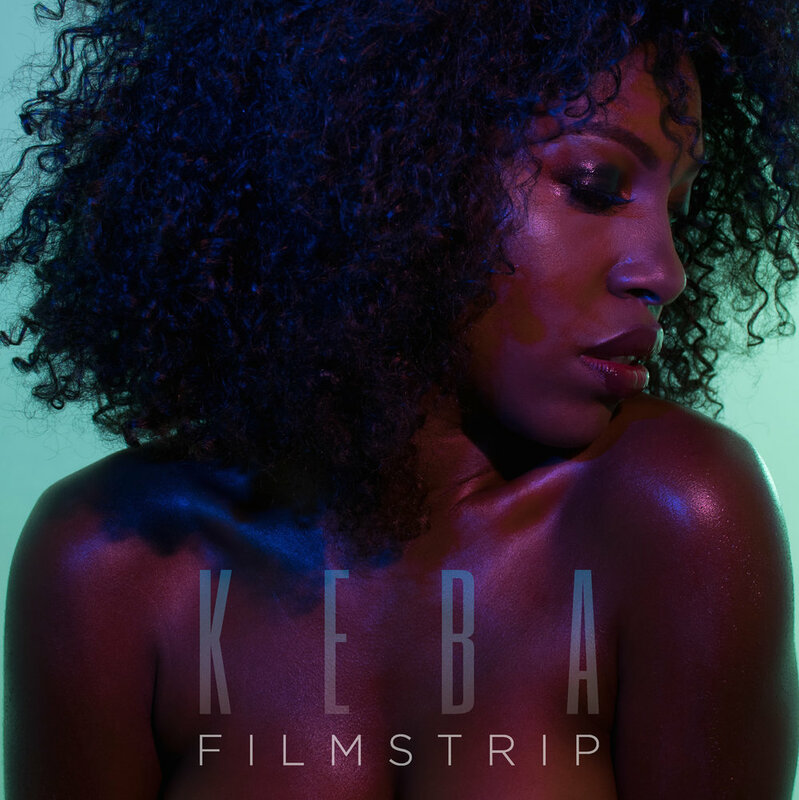 In 2018, Keba released the original EP, FILMSTRIP to mark the eve of her transformation from a girl into a woman. FILMSTRIP features some of the hidden treasures of her journey. Tracks Crush and Runaway are about discovering herself through new love and ultimately heartbreak. The track Good Love is a women’s anthem for recognizing her value and demanding respect while Perfect gives women permission to break free of societal expectations to become who they truly are. As Keba evolves, so does her unfiltered honesty about the complexities and power of being a woman. Keba's EP, Filmstrip is now available everywhere featuring singles "perfect" and "Forbidden Fruit"!